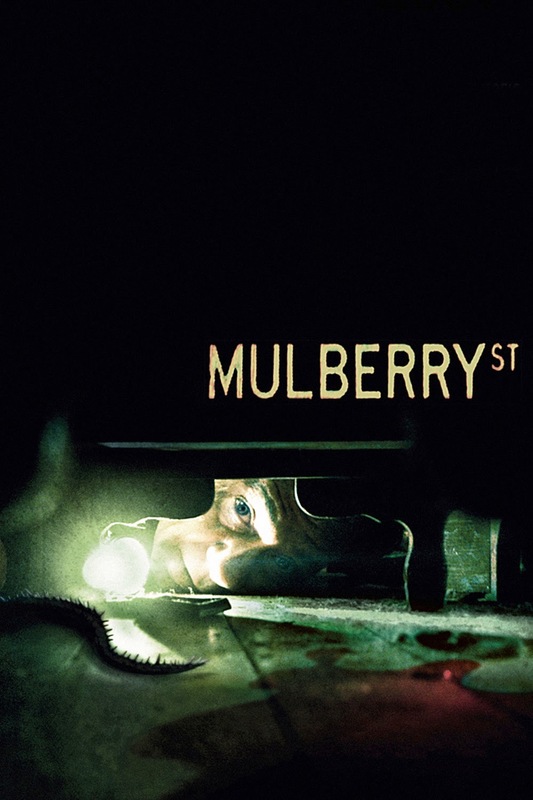 I've written about Jim Mickle's considerable talents as a director before, but it's time to go back to the old neighborhood as we look at his debut feature, Mulberry Street. Amidst a time of change and upheaval in New York City, the residents of a worn-out tenement on Mulberry Street have struggled to hang onto their way of life. Facing eviction due to the corporate gentrification of their city, these mismatched urban denizens seem resigned to the break-up of their insular community. But some of Manhattan's furrier inhabitants aren't taking urban renewal so calmly as the local rat population strike back in a series of vicious attacks against the island's human demographic. Worse still, these angry vermin carry something much nastier than lice; their bite turns victims in crazed killers, sparking a contagion that forces a quarantine of the city and traps residents inside to fend off former neighbors turned feral monsters. Released as part of the After Dark Horrorfest series, a film festival spotlighting independent filmmakers in the genre, Mickle's first film immediately displays what will become some of his hallmarks: First there's with his focus on family groups, particularly makeshift ones. Headed by frequent collaborator and co-screenwriter Nick Damici as Clutch, the tough, laconic natural leader of the building's society, we're given a cast full of likable and sympathetic people of different ages, genders, nationalities and sexual orientations, all of whom look out for each other and relate in ways that are surprisingly nuanced and layered. This makes it all the worse when Mickle and Damici make clear that no character is safe from harm. There's also Mickle's attention to wider social ideas. Setting the film in a post-9/11 New York helps create an atmosphere of paranoia and dread from frame one and reflects the scattered way the public receives information in the midst of a disaster. We see many scenes of characters watching newscasts or listening to radio broadcasts, slowly picking up hints of how dire their situation is from media voices that have no definitive or helpful answers for them. There's also a less-than-flattering portrait of the consequences of driving out working-class people to build upscale residences that lack the character and community of their predecessors. Mickle also displays a great use of a small budget to depict a epic scale situation. A great example is the journey of Clutch's Gulf War veteran daughter Casey (Kim Blair) through the rapidly degenerating city. We see scenes of her wandering through crowds of confused onlookers and snarled emergency vehicle traffic that suggest Mickle had Blair wander through some real-life incident and stole whatever shots he could. The infected themselves are filmed with the same frenzied, dropped-frames manner Danny Boyle utilized for 28 Days Later and while it may not be innovative anymore, it's no less effective here. The danger they represent is revealed patiently; first we just see people shambling about as though they're coming off a bad bender before their off-kilter behavior becomes more apparent and finally they swarm in animalistic rage that makes us fearful for any character unlucky enough to encounter them. As they begin to physically change, Mickle wisely keeps the freakish make-ups in shadowy, quick cuts, bathing it all in a sickly greenish hue that suggests the putrescent origins of the epidemic. On the considerably smaller negative side, the low budget does reveal itself in some lackluster CGI effects, particularly a climactic explosion that wouldn't look out of place in a Sci-Fi (sorry, SyFy) Channel movie. There's also the film's final beat, which is frustratingly ambiguous and runs against some previously-displayed character logic. But these are minor gripes. There's a confidence and attention to detail here that is sadly rare in genre filmmaking on this level and I'm pleased to say Mickle has more than lived up to the potential he shows in this first directing credit. Unless you have an aversion to rodents (or maybe especially if you do), seek it out. A bit of trivia: As is often the case in Mickle's filmography, keep an eye out for filmmaker and independent horror godfather Larry Fessenden in a fun cameo as a panicked city dweller. For more creepy rat action, check out former-Robocop Peter Weller taking on a furry intruder in George P. Cosmatos' excellently quirky thriller Of Unknown Origin.